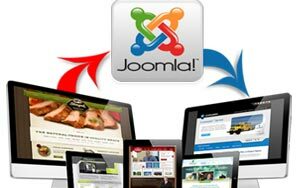 Today’s modern world websites get designed and developed in open source which is content management systems like Joomla. Web Design City provides Joomla based web solution for our customers startups or corporate companies. "Indeed,Joomla CMS is an open source framework for publishing content over the Internet. 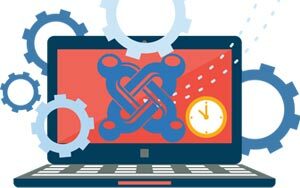 A CMS (Content Management System) like Joomla has the ability to manipulate and add content in a file or catalog. This facilitates the user to add and remove data, images, videos and other media and even modify the configurations of the website. The sole purpose of making use of such a framework helps us to allocate our clients with power to manage their sites without knowledge and understanding of PHP or HTML coding languages. Joomla CMS Developmentbenefits are – User-Friendly CMS, Functionality, Extensibility, Open source, Vast Community. Web Design City possesses a team of professional and experienced designers and develops all industries and companies business class SEO-friendly sites using Joomla CMS! Our customers can easily find us on internet either they are in Parramatta, North Sydney or any other city of Sydney and Australia wide. Web Design City is one of the leading company in website development companies providing top development services for PHP-based CMS like, Magento, Drupal, etc. We develop appropriate framework for your website. We first get familiar with your business, know your requirements, and at last design and develop your website appropriately so that you can have space for other services as well – like SEO, graphic updates, content addition, etc. At Web Design City Australia, we offer highly professional and dedicated web developers team who strive to make your website extremely attractive and highly flexible. We create custom-made websites with lots of passion. Our dedication is uncluttered in delivering the exact or the nearest product a client wants. You will realise how we put our heart and soul into our projects. Our experts have extensive awareness and experience when it’s about PSD to Joomla web design services: they provide special assistance to ensure the design is 100% acquiescent with the prerequisites on a CMS site. We develop a website, coded into the CMS. All the implementations done on the websites are thoroughly tested before showing you up the final results. At Web Design City Sydney, you are always equipped with instant communication with our agents or even with your own developers to ensure everything is perfect with your project. Our web developers Company vigilantly bring your project status up to date throughout the day and you can contact them anytime in case of queries and doubts. Web Design City possesses a team of professional and experienced Joomla developers to develop business class SEO-friendly sites, ecommerce or shopping cart websites development using Joomla CMS! Are you ready to avail our Joomla CMS development services? Don’t Just Listen to Us! “Thanks a lot to the entire team of web developers for the excellent work you have put in to getting my project to such a high standard." Get connected with Web Design City and we will avail best web design and development services. For more information, simply contact us at 1300 932 587 today or visit our portfolio. If you are residing somewhere within Sydney, Australia, we would be delighted to meet you in personal and discuss the project.